Editor's Special: Free Priority shipping*! PLUS I will send special materials I've developed as a Certified Healing Codes Practitioner to help you get more out of The Healing Code right away, while you wait for the book to arrive. AND you will never be added to any mailing list except mine. I will only send you information that will help you get more out of The Healing Code--my promise! *Free shipping, US orders ONLY- standard shipping, 2-9 days. If you live outside the U.S., the best way to get it is through Amazon. 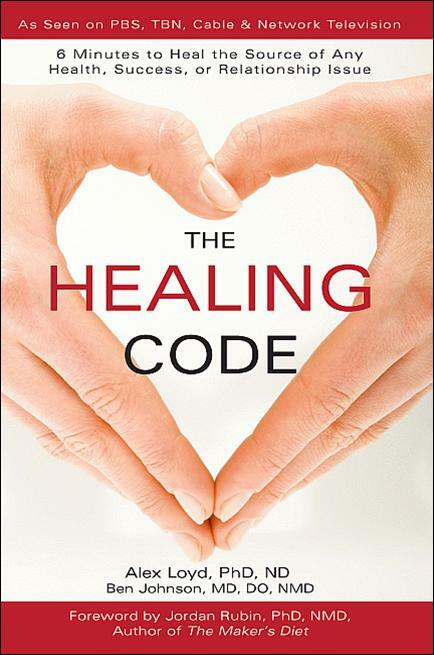 Want a Healing Codes coaching session and custom code session along with the book? While the "universal Healing Code" in the book works on any issue for any person, it is also not as powerful as a custom Healing Code developed by a Certified Healing Codes Practitioner to address your specific situation. This 321-page #1 best seller includes the universal Healing Code that works for any issue, explains how "the heart" and The Healing Code work, and more–such as the 10-second Instant Impact technique to get rid of circumstantial stress. (This technique is not found anywhere else.) Please note: The red order link below only applies to US orders. Canadian or International, order the book from this link and then contact me via email to arrange for your coaching session.